Custom Embroidered Pieces | Too Crewel. Interested in getting a custom piece done? You came to the right place! Custom pieces are perfect for displaying in your own home, or to give as a gift for a wedding, birthday, holiday, or just because! Check out pricing and details below. These pieces are totally up to you! Be it a personal message, your favorite design, song lyrics, an important date, or something a little bit more abstract, this is the place to get it. This piece comes in an 8″ hoop. The color fabric is up to you, as well as the color floss! 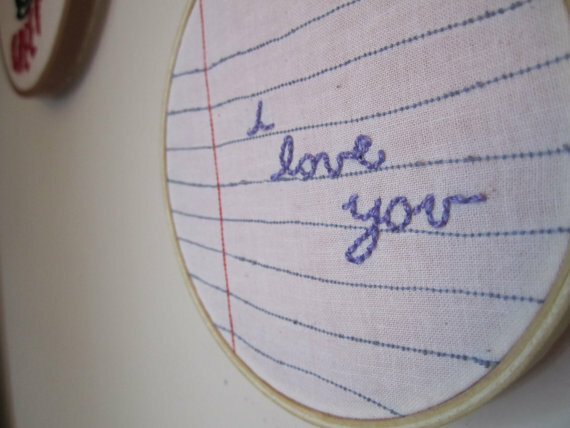 Not only that, but the wooden embroidery hoop can be painted in a color of your choice. There are a couple options available. For embroideries in 3″, 4″, oval 3.5×5″, or 5″ these pieces start at $25.00. 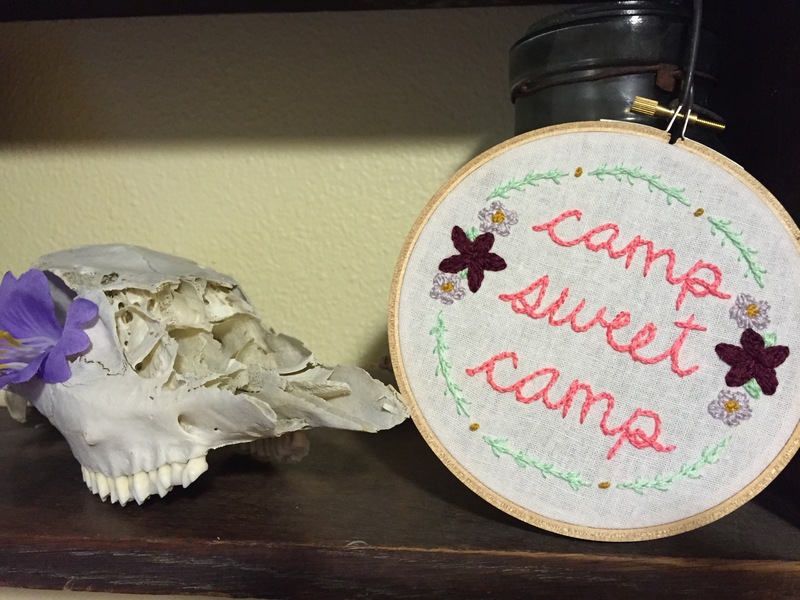 For embroideries in 6″, 8″ or 10″ hoops, these pieces start at $40.00 plus shipping and handling (via USPS). These prices are a starting point, the embroidery could be more or less depending on the detail. If you’d like something more elaborate or in a larger scale, just email me (toocrewel@gmail.com) and I’d be more than happy to let you know what the additional cost would be. These pieces generally take one to three weeks to make, depending on the detail in your request, as well as what I am working on at the moment. We can discuss this further when you order your piece, though! Holiday’s are usually a busy time, so try and get your orders in early! 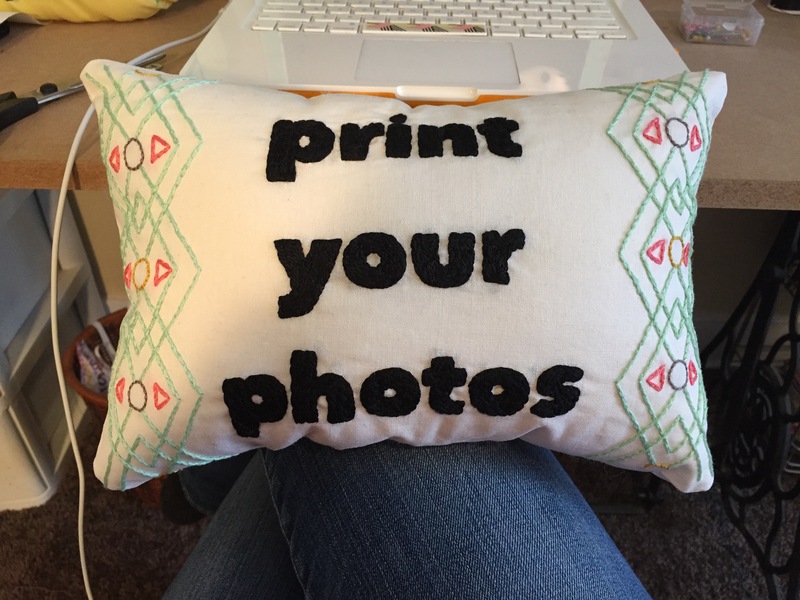 Custom pillows are a fun gift to give and get! 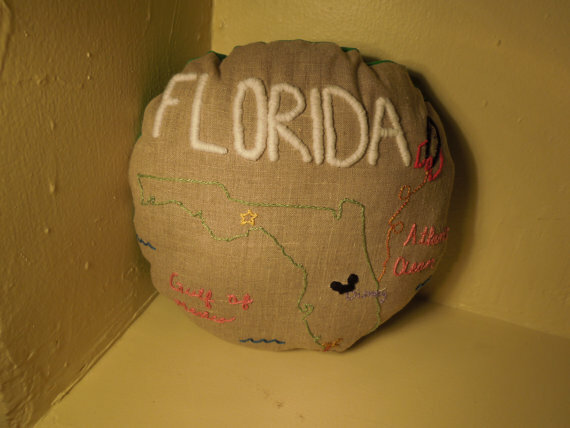 Anything that can be embroidered onto a hoop can be embroidered onto a pillow for a quirky little house ware. 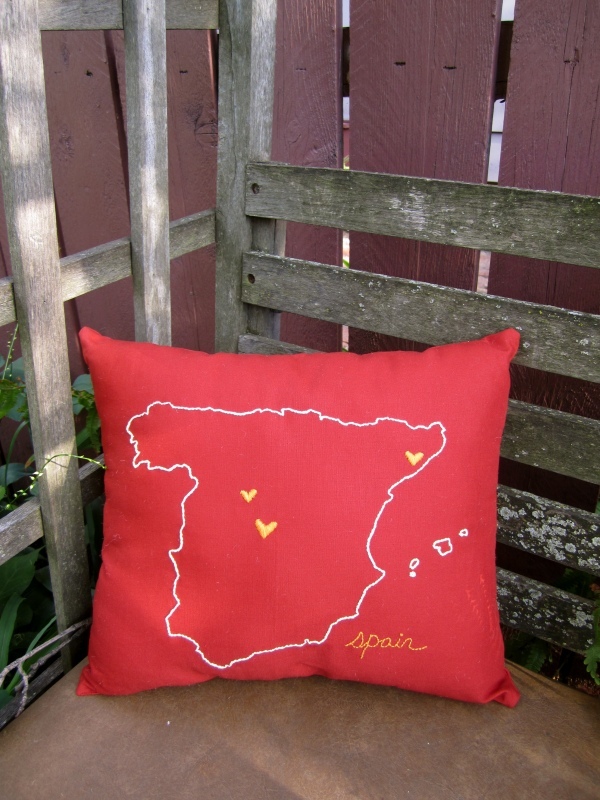 These custom pillows are only $50.00 plus shipping and handling (via USPS). The cost includes the fabric and all of the materials. 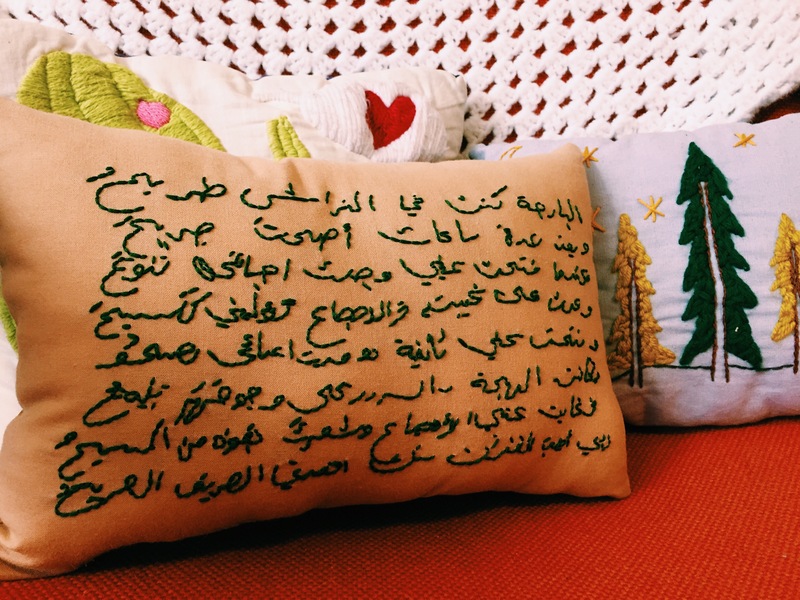 This pillow is all up to you! Want to make it a circle? I can do that! A square? I can do that, too! You also pick the color, you can even pick a different color for the front and the back. 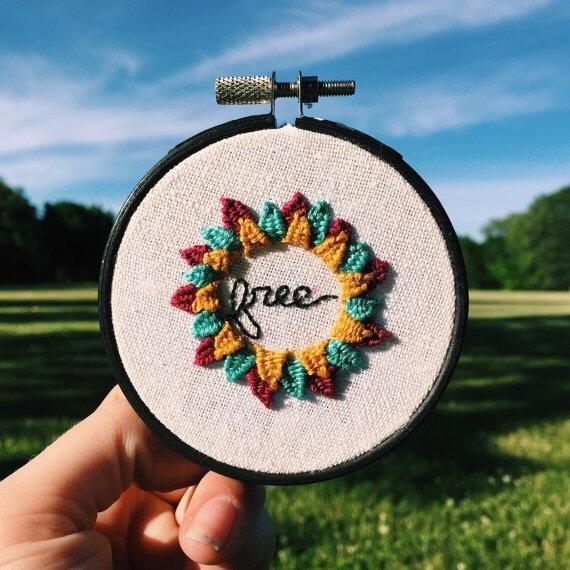 The embroidery floss color is also all you! The embroidery is your choice (just as along as it is possible!). If you have an idea of what you’d like just send me an email (toocrewel@gmail.com) and we can take a look at design options! These pieces usually take about two-three weeks to complete. This does however vary based on how large your order is, and if I have any other orders that I am working on. If you have a certain date you’d like it done by be sure to let me know and we can make it work! If you are interested in getting custom work done just send an email to me (toocrewel AT gmail DOT com), putting “Custom Work” in the subject line, or fill out the contact form below. 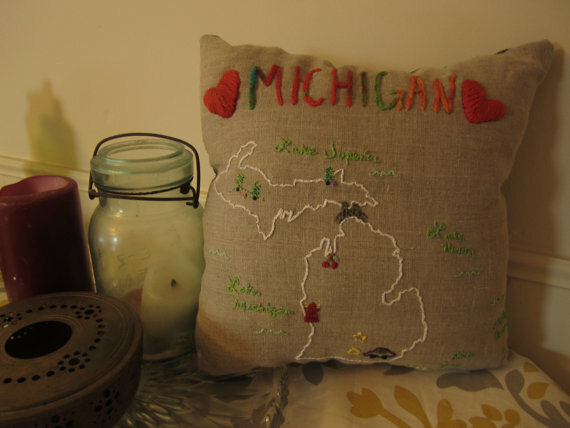 Pingback: Embroidered Goodness: California Pillow in Progress | Too Crewel. 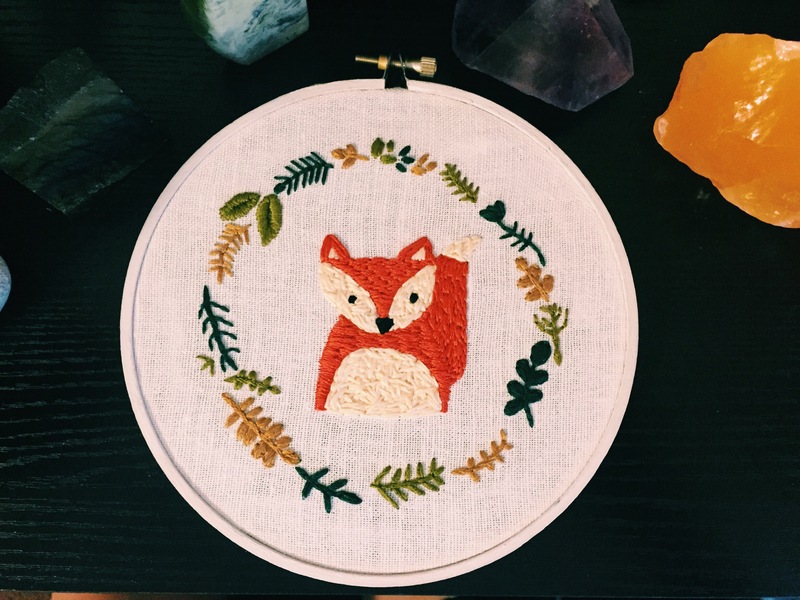 Pingback: Christmas Gift Ideas- Custom Embroidery Pieces | Too Crewel. Pingback: Dr. Seuss Embroidery | Too Crewel. Thank you! I could work something out to ship to New Zealand, I just have to figure out how much shipping is from here to there. That you know how to make these really cool pictures. Me and my girlfriend are fighting long distance right now, and this our third year of doing so. It is getting really tough right now and I’m looking for the perfect gift to keep us together. I think your idea would blow her socks off! What is the price of something like this? And what would I have to do? Pingback: Cat on a Bike Embroidery | Too Crewel. Pingback: Commission Openings | Too Crewel. Pingback: Commission Portrait Pricing | Too Crewel. 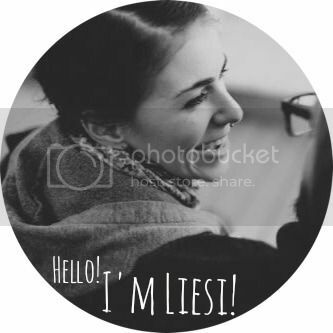 Pingback: Embroidered People: My niece and nephew | Too Crewel. 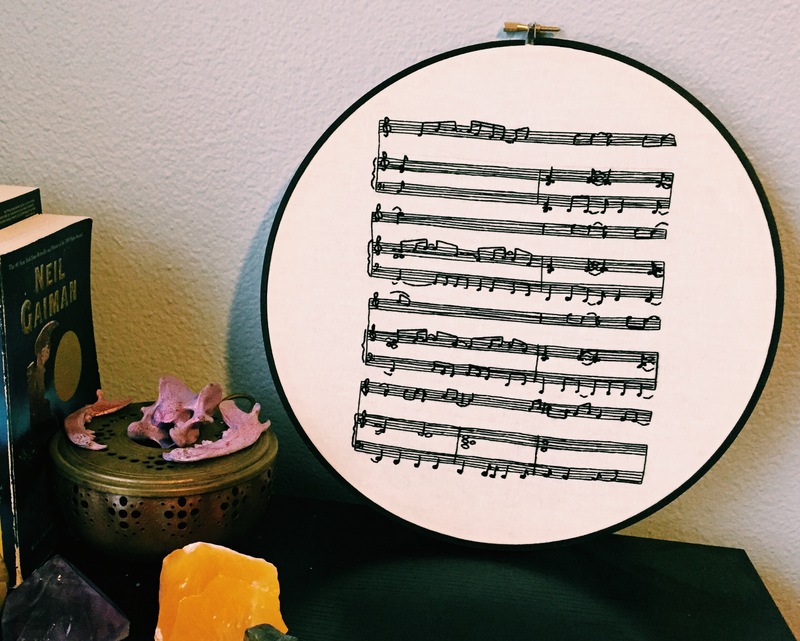 Pingback: Sheet Music Embroidery | Too Crewel.